Dubbed the “Angel of Death Row” by the Chicago Tribune, Lyon was the first woman to serve as lead attorney in a death penalty case. Throughout her career, she has defended those accused of heinous acts and argued that, no matter their guilt or innocence, they deserved a chance at redemption. Now, for the first time, Lyon shares her story, from her early work as a Legal Aid attorney to her founding of the Center for Justice in Capital Cases. 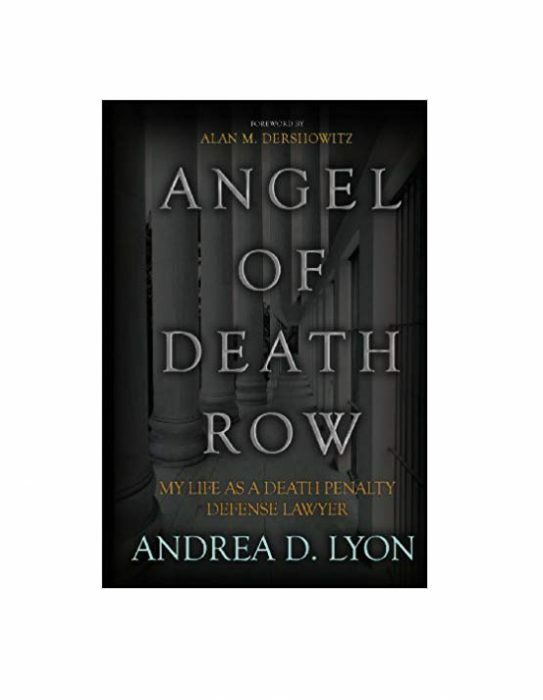 Full of courtroom drama, tragedy, and redemption, Angel of Death Row is a remarkable inside look at what drives Lyon to defend those who seem indefensible—and to win. There was Annette who was suspected of murdering her own daughter. There was Patrick, the convicted murderer who thirsted for knowledge and shared his love of books with Lyon when she visited him in jail. There was Lonnie, whose mental illness made him nearly impossible to save until the daughter who remembered his better self spoke on his behalf. There was Deirdre, who shared Lyon’s cautious optimism that her wrongful conviction would finally be overturned, allowing her to see her grandchildren born while she was in prison. And there was Madison Hobley, the man whose name made international headlines when he was wrongfully charged with the murder of his family and sentenced to death. These clients trusted Lyon with their stories—and their lives. Driven by an overwhelming sense of justice, fairness, and morality, she fought for them in the courtroom and in the raucous streets, staying by their sides as they struggled through real tragedy and triumphed in startling ways. Angel of Death Row is the compelling memoir of Lyon’s unusual journey and groundbreaking career.